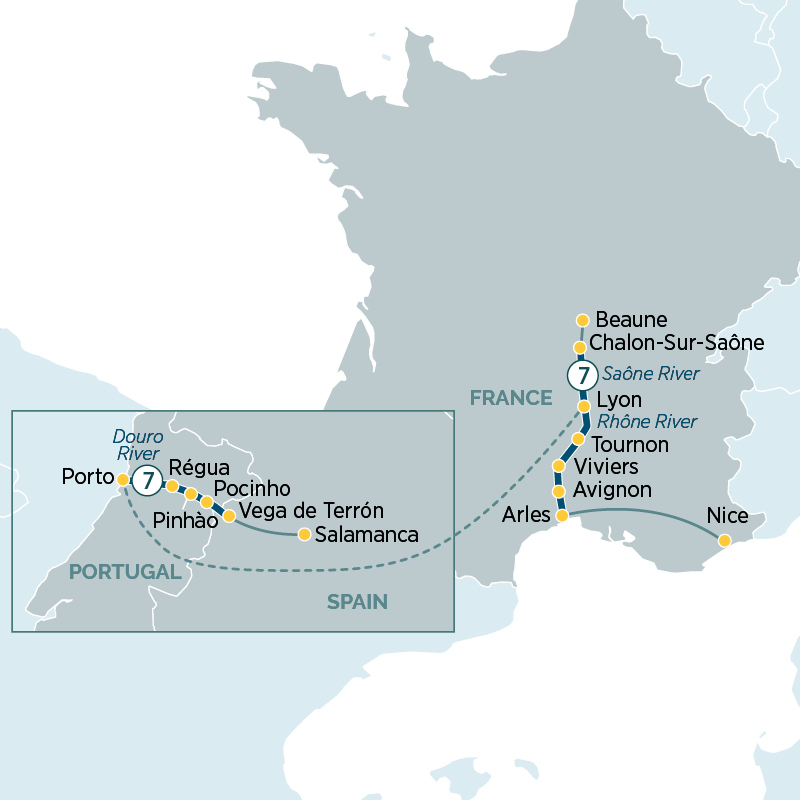 A region steeped in beauty, history and culture, cruise along the Douro, Saône & Rhône rivers over 15 incredible days. Savour the sights as you sail through the Douro Valley, a UNESCO world heritage site dotted with small quaint villages and working vineyards and small farms. Call in at quaint towns including Pinhao, Vega de Terron and Pocinho. Fly to Lyon and soak up the French culture, history and architecture of France. From Burgundy's wine region and examples of French fifteenth-century architecture to Avignon's stunning cuisine and cobbled laneways and shops, your Emerald Waterways Star Ship will ensure a relaxing voyage.